We’ll See you at the ICSC North Florida Idea Exchange! 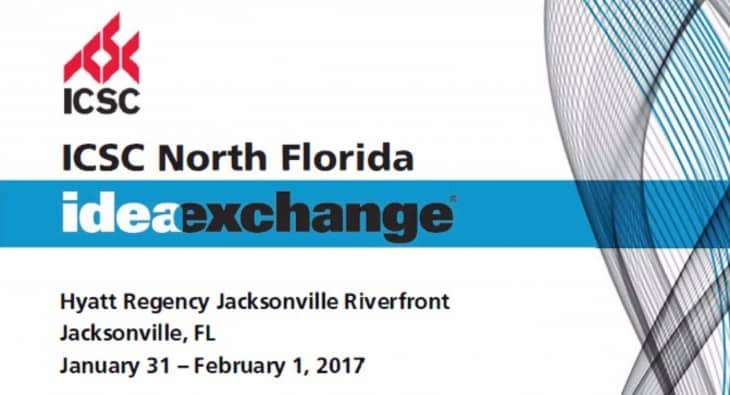 We are excited to attend the ICSC North Florida Idea Exchange January 31- February 1 at the Hyatt Regency Riverfront in Jacksonville. Be sure to say hi and don’t forget to let us know if you’ll be there! Want To Get on Our Bid List? Bay to Bay Properties offers complete services for all commercial construction projects. Our professional and dedicated team are committed to delivering the quality and experience you expect from a General Contractor. Our project management team will ensure complete coordination of workers, materials and supplies to complete your project on time and on budget. Bay to Bay Properties has extensive experience with large commercial construction projects in following industries: Retail shopping centers, Retail single tenant, Office, Industrial, and Medical. Whether the project requires ground-up new construction or custom build-out, we will provide professional and creative work. We specialize in providing superior quality workmanship in condensed timelines. We also pride ourselves in our ability to meet your specific construction needs for your commercial property including creative design, replica design, and specialty jobs.